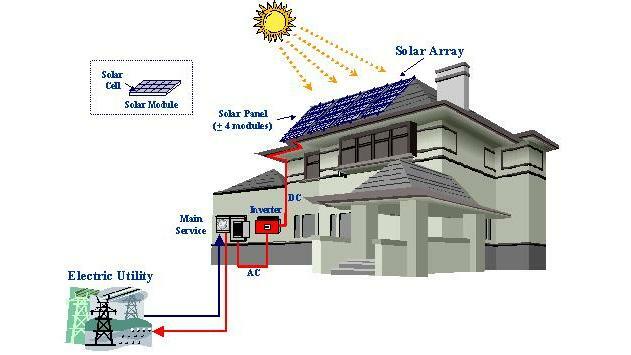 Energy from photovoltaic cells is the most efficient and economic way of generating electricity. The system that empowers the production of energy is very light, you only need to place them somewhere ( on the roof by default ) and a power convertor so you can get energy at the desired voltage. Compared to many other systems like wind energy where you need a very heavy turbine. The energy produced varies from winter to summer or from day to night. To prevent the lack of energy during the night you need a power saver ( a bettery ) that can store few kilowatts of energy so you can use at night. The system will still produce energy during winter too, but at a lower level, probably around 40%. So if you want to rely only on the energy coming from the photovoltaic cells you need to dimension your system based on winter production. This will mean that during summer you will produce much more energy than you need. However, in many developed countries you can get the extra energy back into the central electricity system and you will be paid for it. Actually, in some countries, because the regenerating energy systems are encouraged, you will sell a kilowatt for more money that you actually buy it. The prices of photovoltaic panels varies from $0.5 to $2 per Watt produced every hour. For example, for a photovoltaic panel that will produce 100W/hour will cost between 50$ and 100$.